Phase 2 is sold out, and Poetry Living is currently accepting registrations for the upcoming release. The new collection of townhomes will be located at Lord Melbourne and Woodbine Ave., near Elgin Mills Rd. 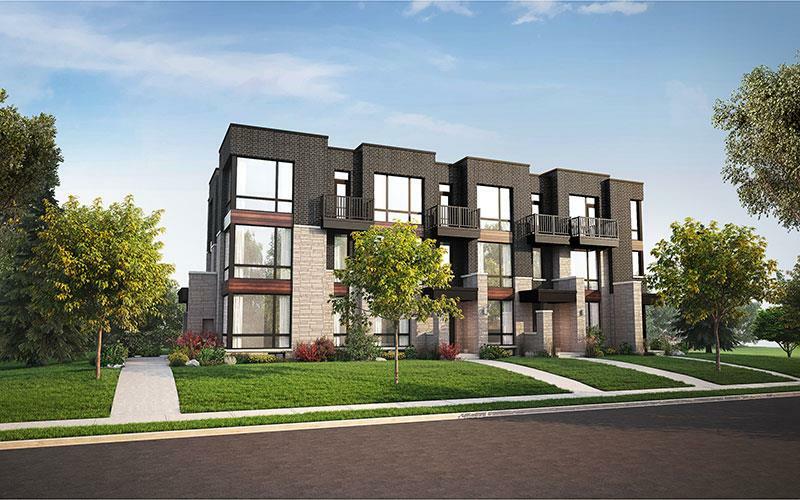 To give you an idea of what’s to come, the sold-out townhomes of Phase 2 were all well over 2,000 square feet, perfect for families of all sizes. A few of the features and finishes included spacious upper cabinets in the kitchen, granite countertops, freestanding soaker tubs, oak staircases, premium MOEN faucets, and brushed nickel lever type door hardware. The only detail we have about the Phase 3 release at the moment is that most of the luxury freehold townhomes will have double-garages. Of course, we’re eagerly awaiting an opening date and more information, and we’ll share it with you as soon as we receive! Phases 1 and 2 of Abbey Lane Towns were successful because of the modern-contemporary exterior designs and the convenient location near Victoria Square in Markham. 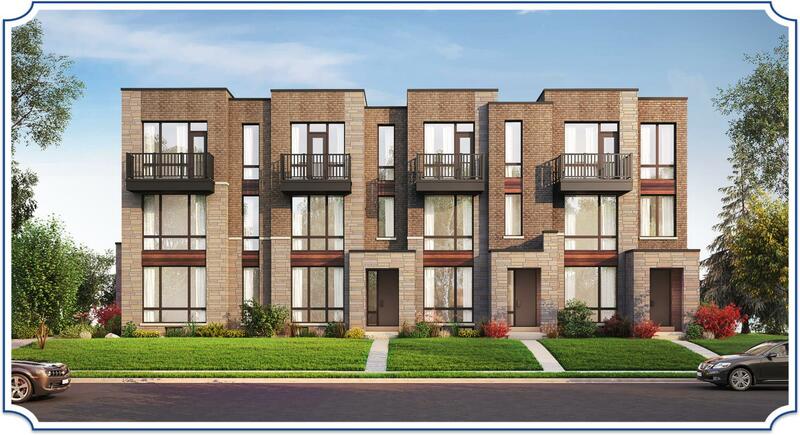 The townhome designs feature soaring windows, ensuring light-filled living spaces, as well as balconies and porches. The combination of brick, stone, wood, metal, and glass promotes a refreshing aesthetic on the Markham streetscape. The townhomes complement the surrounding traditional brick homes but stand out as an original, distinct collection of prestigious residences. So many families have already decided to call Abbey Lane Towns home because of the surrounding neighbourhood amenities, including schools, transit, places of worship, shopping, restaurants, and golf courses. Hwys 404 and 407 are also easily accessible to the community is ideal if you need to commute to other parts of the Greater Toronto Area for work. If you want to leave the car behind, you can hop on transit or the GO to get wherever you need to go, including Union Station in downtown Toronto. Based on the success of the first two phases, we believe Phase 3 of Abbey Lane Towns is going to be a big hit in Markham! To stay in the loop and receive VIP info leading up to the opening, register here! And be sure to watch the virtual tour above. You can also call 416-798-7070 with any inquiries.